Ever wondered what went on at a local box in Croatia? Boris Cvilinder is here to tell us exactly that with his run-down on the happenings over at the CrossFit Fanatic Box. Working as a coach in the last couple of years I was based solely on functional training. Following the workshop of Mr. Tomislav Jurak in Zagreb about CrossFit I knew immediately that this was the way I want to go, and after more than 10 years of triathlon I needed a new challenge. Because I believe that the only way they can offer and do CrossFit in the full sense of the word and be part of this wonderful community. We are based on work in small groups of up to six members because we believe that the only way you can provide a safe and high quality training. Our strength is the individual approach to each member. We are a real family. After completing Endurance seminar and as still active triathlete thinking of starting Endurance classes and running school. One day a week is specialized for working with the Kettlebell. Of course at least twice a year we do a workshop for our members of the importance of quality and proper nutrition. First we scan the movement, if there are no restrictions, moves with the tests on the basis of which member of the group adequately determine their capabilities. If there are restrictions on the movement focuses primarily on mobility and quality of movement. Sure. 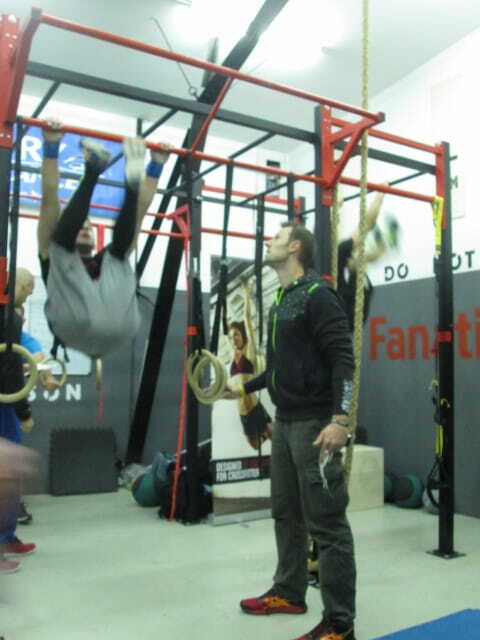 So far we have organized a club and an open competition with typical CrossFit Endurance challenges and tasks. Unfortunately not, but I believe it will be that things will soon change. Absolutely, in our box are all welcome, and not only that, we enjoy exchanging experiences with people who are connected and which bear some other experiences from other countries, it is always fun. All necessary contacts can be found on our website and book your place by e-mail.